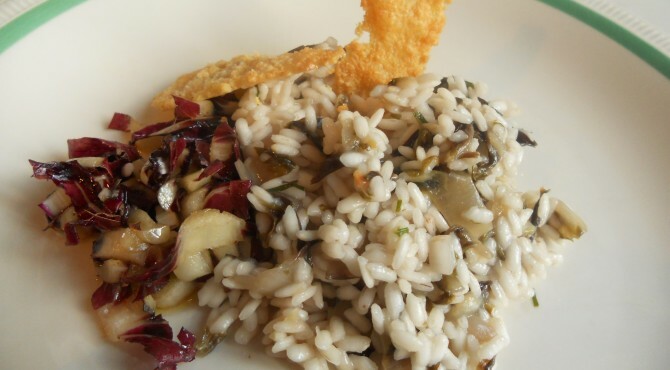 chicory | CUCINA ITALIANA – ITALIAN FOOD | Il cibo con il sole dentro – With the sun inside! 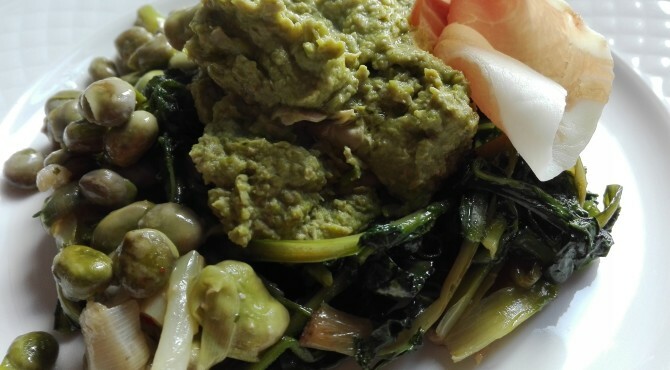 The original recipe wants dry fava beans, but I could not resist to the spring and I used fresh ones: so arm yourself with patience and start to peel! In a pan with extra virgin olive oil, put fresh onions cut into strips, saute’ slightly and add the shelled beans. Season with salt and pepper and cook for about half an hour, adding hald glass of hite wine and hot water if needed. Blanch the chicory in salted water, when it is cooked, drain and squeez. In a skillet with oil fry the garlic and saute’ the chicory, adding salt. Ready to bring to the table: blend half beans, create a nest with the chicory and put , in the center, the mashed beans, and whole beans to the side. In this case I added the Norcia ham, but also suggested with marinated anchovies.